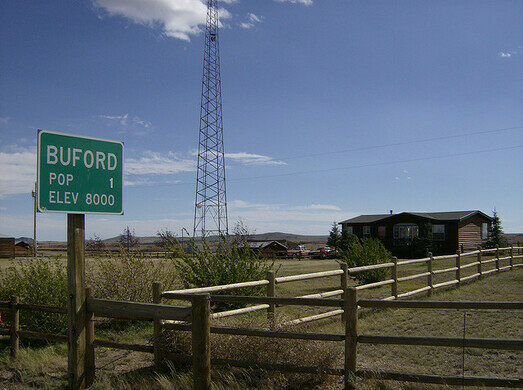 The smallest town in the United States. 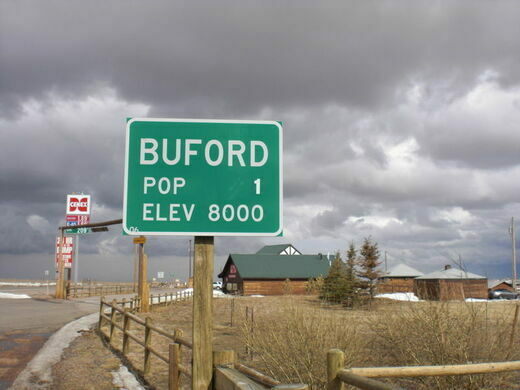 In the late 19th century, 2000 people lived in Buford, Wyoming. Railroad workers needed somewhere to settle, and the small town wasn’t half bad in terms of pop-up cities in the barren West. But as the railroad progressed toward the Pacific, the workers moved with it, leaving Buford to slowly decline into almost-nothingness. 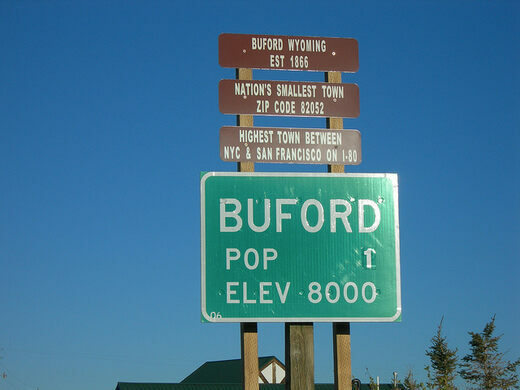 Today, the mountain town of Buford has only 1 permanent resident. Hundreds of people everyday pass through the town on Interstate 80 but only one man, Don Sammons, holds down the fort. Sammons operates the Buford Trading Post, and has been alone since 2008 when his son moved away. Despite its tiny size, it has become somewhat of a roadside attraction for its street sign that states quite plainly: Elevation 8000, Population 1. Town is under new ownership and he's trying to get the name changed. Miraculous tree that seems to sprout out of solid rock. A monument to the egos of two railroad magnates that fell into decline along with their careers. The high point on the 16th president's eponymous roadway is marked by a massive version of his head. 16,500-acre ranch filled with American heritage, geological wonders, and a giant pile of tires is the crown jewel of an intriguing tug-of-war.